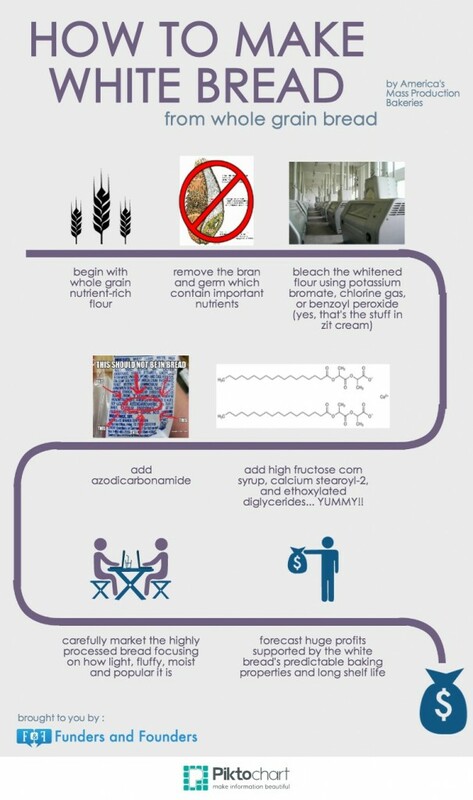 INFOGRAPHIC — Bread is all around us, but we rarely pay attention to the ingredients and health benefits of modern white bread or wheat bread. There are some nasty things in highly processed name brand white bread. So, please avoid it… and read this infographic. 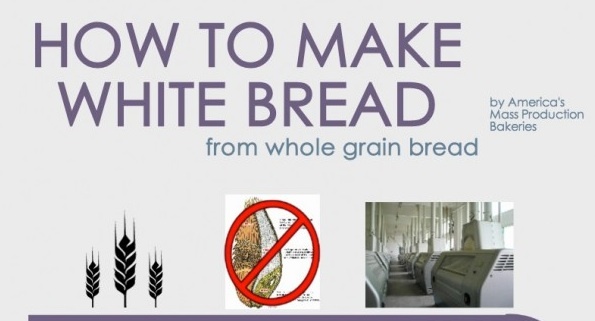 I never knew this about white bread or processed wheat bread. Isn’t it nice to be informed?